Manufacturer's Professional Repair Information for the "Car Savvy Do it Yourselfer"
Do you have a website and want to add a quality content and earn cash rewards at the same time by promoting your favorite DIY Auto Repair product? Join FREE - Actively Promote - Earn Fast. Join the Mitchell 1 DIY Affiliate Program and start earning cash right away. Our program is easy to use and free to join. High Payouts & High Conversions. Add links to your website, blog or to outgoing e-mails; we’ll even supply banners to drive visitors from your site to ours. Earn commissions Between 20% to 40% (based on conversion ratio) when a visitor clicks through your site to ours and makes a purchase. It's that easy! Best of all, there's no limit to the amount of money you can earn. We know that some people don't buy right away, so we'll track your referrals and pay you if they purchase within 30 days. Get paid monthly via check or direct deposit. It's fast and easy to collect your earnings! You're making a good decision to partner with Mitchell 1 DIY. 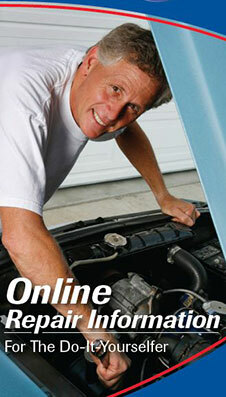 We're the world's leading online auto repair and maintenance information website. With more than 30,000 vehicles to choose from between 1983 to Current in a powerful browser-based application, the do-it-yourself home mechanics have an online access to the very latest in auto repair information. Plus, our handy affiliate tools make it easy to promote your favorite DIY product and start earning commissions. Join today! After you sign up, you will receive an email with instructions on how to start your affiliate program. Mitchell 1, A Division of Snap-on; is offering companies the opportunity to earn commissions on Internet sales of Mitchell 1 DIY product. By becoming a partner Affiliate, your company will earn commissions on all subscription sales resulting from your leads. Add-on and extending subscription sales also earn commissions. To receive more information please visit "Affiliate SIGN UP" link and submit the attached contact information. DIY Online Automotive repair manuals, TSBs, car repair manuals, Classic Car Repair, automotive maintenance information, engine diagnostics, automotive data, automotive service information, OBD II Codes, Car Wiring Diagrams, Reset Check Engine Lights. Factory Service Tips │ OBD II Codes │ Troubleshooting & Reset Check Engine Light │ Exploded View Illustrations │ Basic Diagnostic & Troubleshooting Procedures │ Labor Times & Calculate the Repair Cost │Link to us and receive generous commissions on each initial sale, add-on sales, and renewal subscriptions.